“I am optimistic that in the next two weeks we will have a solution. At least a solution that will open the way for the beginning of accession talks with FYROM,” he told the European Parliament’s Foreign Affairs Committee. “I think everyone agrees that this would be useful for the country, for society and the whole region of the Western Balkans,” he added. His remarks triggered strong reaction from Skopje and Athens, who said that the EU official should better stop meddling with the UN-led ongoing negotiations. 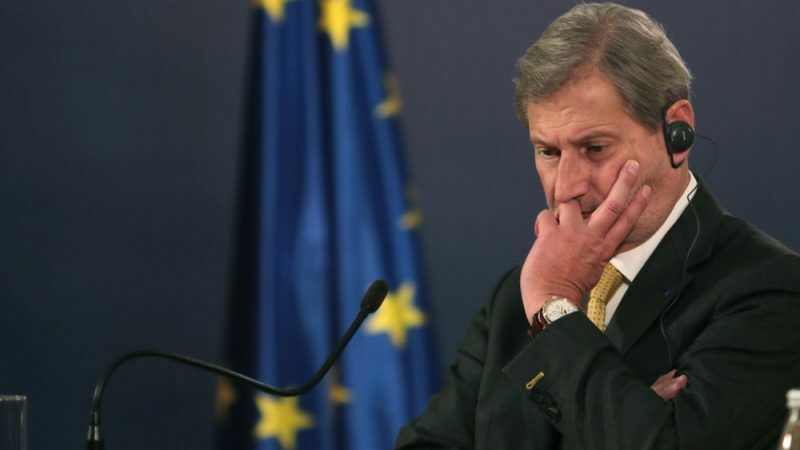 The Greek Ministry Foreign Affairs issued a statement saying that Hahn’s remarks were “unfortunate” and urged him to stop giving the “wrong picture of the negotiations which, as it seems, he does not understand”. “The least he can do is to stop undermining them [the negotiations],” the ministry added. Along the same line, FYROM’s prime minister, Zoran Zaev, said that Hahn was a “very good friend of “Macedonia and I wish he had information that a solution [to the name dispute] could be found in two weeks”. “I would love it a lot, but I think it is not possible,” Zaev emphasised. The European Commission proposed on 17 April to open EU membership talks with Albania and FYROM, in line with its new focus on Western Balkans integration. But without a solution to the name dispute, Greece has said it won’t give its greenlight for any accession to the EU and NATO. “The invitation to join NATO is automatic. It is good to solve it in two weeks; this will mean the start of the automatic invitation in the third week from today through ratification by member states. I think it’s a matter of weeks, but I think two weeks are too few,” Zaev said. Greek Minister of Foreign Affairs Nikos Kotzias will meet his counterpart Nikola Dimitrov today (25 April) as well as Matthew Nimetz, the United Nations Special Representative for the naming dispute.